INDIANAPOLIS — As we look ahead to the new year, families all across the city will be watching to see what leaders will do to make Indianapolis communities safer. 2018 was the deadliest year on record for Indianapolis. There were 159 criminal homicides — that's two more than last year. "Just not hearing her voice not seeing her. It bothers me a lot," says the mother who's daughter was among the 159 victims this year. It's been almost six months since Pamela Wooden's daughter, Monica Pirtle, was killed. This was the first holiday season the family spent without her. "It's been rough. Christmas was really hard for us," Wooden said. "I started having anxiety thinking about it and thinking about the way she was killed." Pirtle was shot after coming home from a movie in July, on the northeast side. She was in a car outside of her home on Crab tree Court, with her child's father, when someone fired shots — hitting both of them. He survived, but months later, no one has been arrested. "I just pray every day that things will change. That this killing will stop," said Wooden. "And people would stop being afraid to come forward and help me and other families get justice for they loved ones." 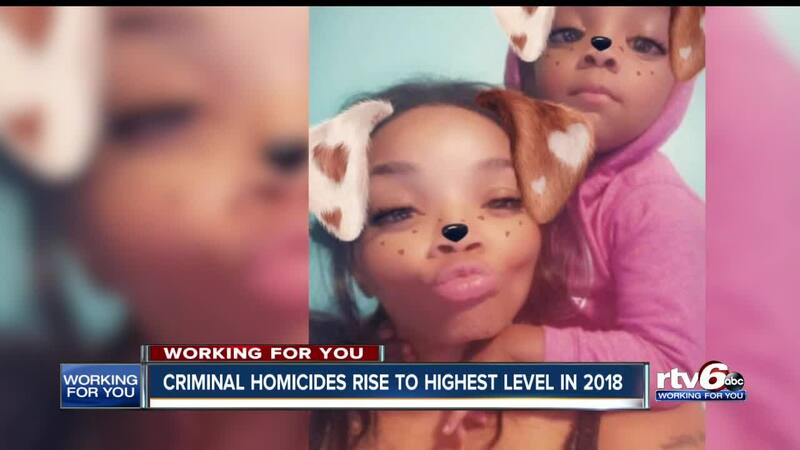 As the city of Indianapolis continues to see the number of criminal homicides rise, year after year, families like Wooden's want to see something change. Wooden is hopeful that a one million dollar crime grant awarded to the City of Indianapolis to fight gun violence will help. 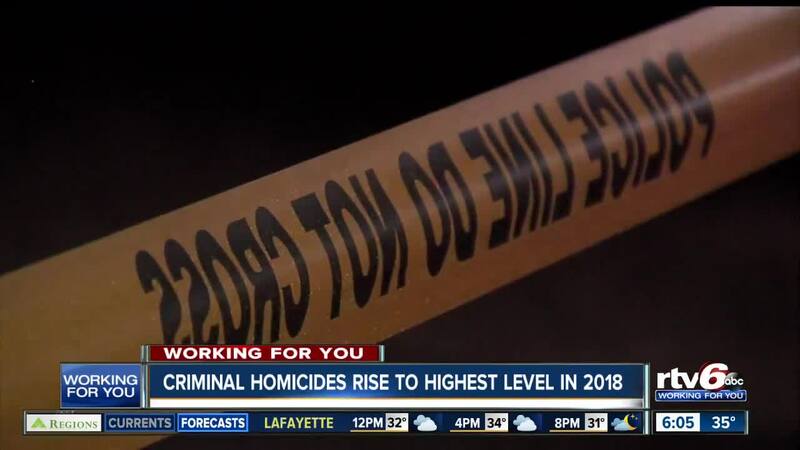 Indianapolis Metropolitan police Department plans to hire three crime analysts to help identify leads before crime happens. IMPD says murders committed in 2018 were mostly by people involved in risk behavior. A department spokesperson say overall crime is down in Indianapolis. But as city leaders try to reduce the number of homicides, Wooden is waiting everyday to get justice in her daughter's case. "All I have to say is, if anyone has any information please call the detective. And help us get justice for her life," she said. IMPD says another focus of the crime analysts will be on social media. They will watch what they are sharing and talkinf about online.